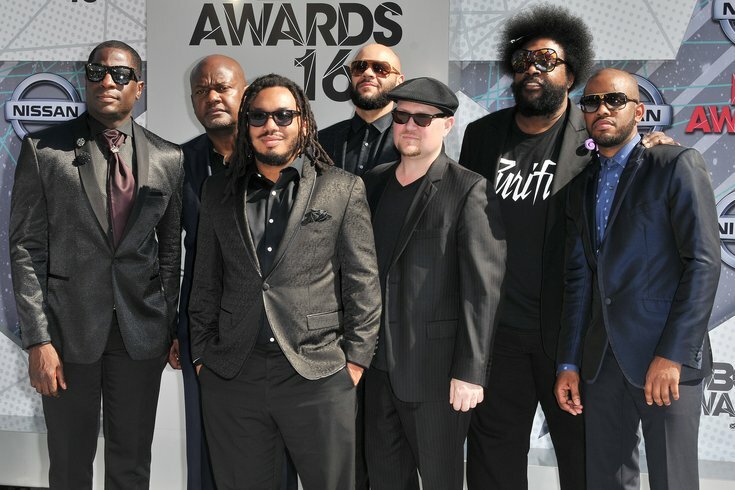 The Roots arrives at the 2016 BET Awards held at the Microsoft Theater in Los Angeles, CA on Sunday, June 26, 2016. NPR has some deep Philadelphia pride, with the staff at World Café, the network’s Philly-based music arm, throwing away all sense of journalistic objectivity to bring us the ultimate Philadelphia Eagles music playlist. In the countdown to Sunday evening’s Super Bowl LII, World Café made it very clear that they’re rooting for the Philadelphia Eagles. In light of the occasion, the staff used their musical expertise to compile the perfect pre-game playlist, full of 151 songs all by Philadelphia artists. The Roots, Kurt Vile, Boys II Men, Hop Along, John Coltrane, and newly Grammy-winning band The War on Drugs, among dozens and dozens of others, help make up the Philly-centric playlist. Of course, WBUR, NPR's Boston-based station, has its own playlist, too, but it’s probably not worth linking to. Check out the NPR playlist here and listen to the whole thing on Spotify.